It’s officially Fall season, but it sure doesn’t seem like it here in central Florida where our daytime temps are in the 80s (it’s definitely a lot less humid than last month though). You know how I know it’s Fall (besides all the Halloween candy and costumes for sale)? 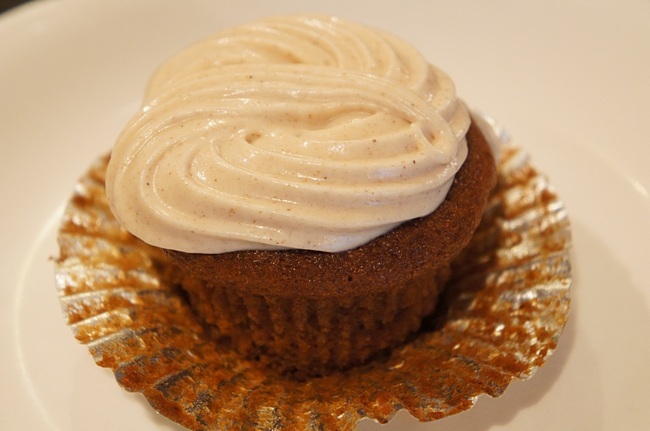 Pumpkin flavors everywhere: lattes, pies, loaves, ice cream. Everything pumpkin-y. Mmmmmm. 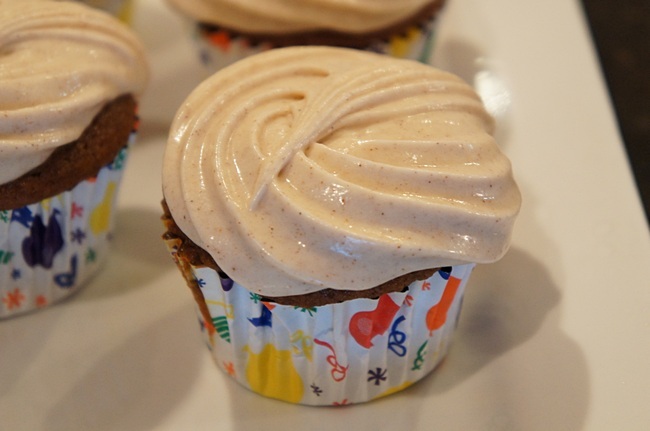 I made these cupcakes a few weeks ago before fresh pumpkins showed up at the grocery stores. (Mental note: Check grocery stores for Ben & Jerry’s Pumpkin Cheesecake flavor ASAP). 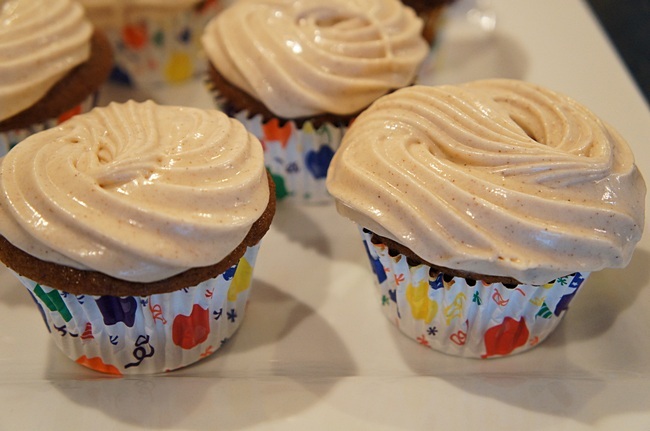 I threw in 1 1/2 teaspoons cinnamon to my cream cheese frosting. Yum! I plan on making these every Fall for years to come! Whisk together the flour, vanilla pudding mix, baking soda, salt, cinnamon, nutmeg, cloves, and ginger in a bowl; set aside. 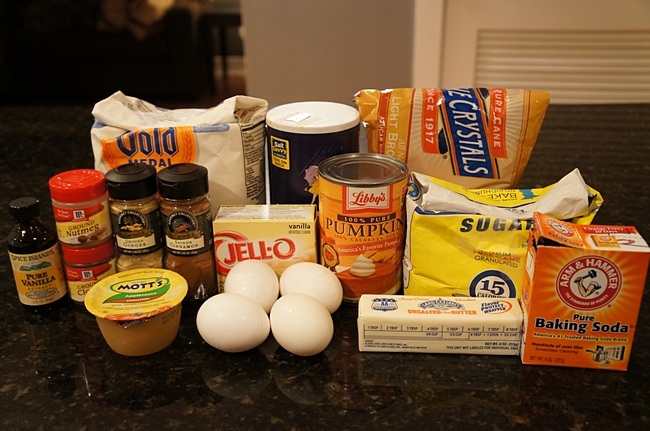 Beat the butter, white sugar, and brown sugar with an electric mixer in a large bowl until light and fluffy. Add applesauce. Add the room-temperature eggs one at a time, allowing each egg to blend into the butter mixture before adding the next. Beat in the vanilla and pumpkin puree with the last egg. Bake about 22-27 minutes OR until toothpick/cake tester inserted near the center comes out clean. Cool in the pans for 10 minutes before removing to cool completely on a wire rack. 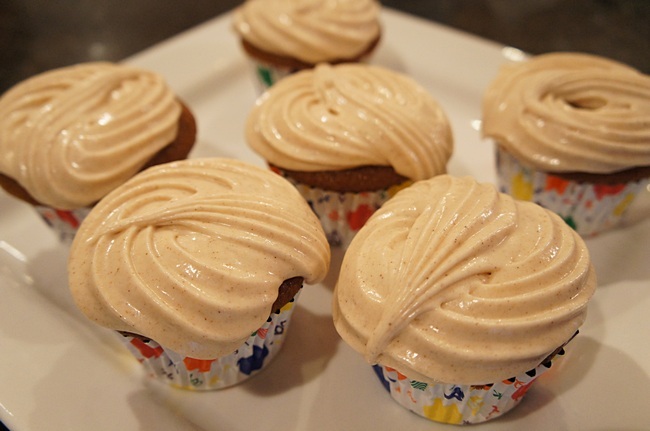 Using your mixer’s whisk attachment, cream together the cream cheese and butter until creamy. Replace whisk with paddle attachment. Mix in the vanilla, then gradually add the confectioners’ sugar. Add ground cinnamon. Makes frosting for 12-14 cupcakes. 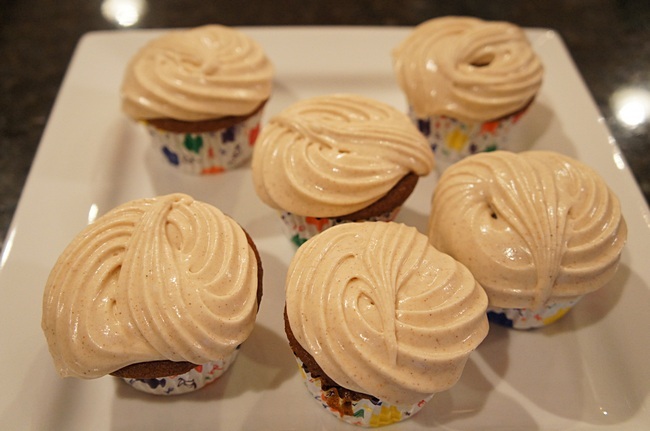 Double recipe for 24 cupcakes.